Sure, a lot of people hear “California” and imagine Hollywood, the Golden Gate Bridge, Silicon Valley, or political Sacramento. It’s the state’s rural areas, though, that supply the cities with food, water and renewable energy (and casinos, marijuana and wine). They absorb prisoners and garbage from urban area. California’s cities and small towns are necessarily intertwined. Across the state, industries like fishing, logging and agriculture that gave many small towns their economic base – and their identities – have dried up or changed. Rural California continually has to adapt to survive, and how small towns manage those changes impacts all Californians. With seed money from Cal Humanities, this project began as a series called New Harvest: The Future of Small Town California which ran on KQED public radio’s The California Report in 2010 and 2011. A California Documentary Project grant from Cal Humanities has allowed for the project’s expansion. Lisa Morehouse is an award-winning independent public radio and print journalist, who’s filed for KQED’s The California Report, NPR’s Latino USA and All Things Considered, Edutopia magazine and McSweeney’s. Her reporting has taken her from Samoan traveling circuses to Mississippi Delta classrooms to the homes of Lao refugees in rural Iowa. Along with After The Gold Rush, Morehouse also works with at-risk youth to produce radio diaries. Morehouse’s first career was in education. She taught middle school in rural Georgia, founded and ran Teach For America’s Arizona office, and taught for ten years at San Francisco’s Balboa High School. Her students’ oral histories on immigration and migration were published in 2005’s I Might Get Somewhere. The Kitchen Sisters (Davia Nelson & Nikki Silva) are producers of the duPont-Columbia Award-winning NPR series Hidden Kitchens, the two Peabody Award-winning NPR series, Lost & Found Sound and The Sonic Memorial Project and most recently, The Hidden World of Girls, a series on NPR that explored the lives of girls and the women they become and The Making Of…, a production with KQED and AIR. Deborah George is Senior Editor at NPR’s Latino USA and also edits the Radio Diaries series on NPR’s All Things Considered. 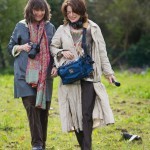 In the course of her career, George has covered stories in the US, Asia, Africa and Latin America. She worked with American RadioWorks, a documentary and investigative production company and was on the staff of NPR News. Her work has received the Peabody Award, the Robert F. Kennedy award, the Edward R. Murrow (RTNDA) award, the Casey Medal for excellence in Children’s Reporting and the Investigative Reporters and Editors Award. She’s shared in five duPont-Columbia Silver Batons and one Gold Baton. The California Report magazine airs for 30 minutes every weekend on public radio stations across the state. It brings you in-depth analysis of the week’s top news stories, sound-rich radio excursions and commentaries from voices around California . KQED radio, in collaboration with public radio stations throughout California, launched The California Report, a statewide radio news program, on October 2, 1995. Distributed by satellite from the KQED studios in San Francisco, The California Report provides daily coverage of issues, trends, and public policy decisions affecting California and its diverse population. It is carried by more than 30 public radio stations from Arcata to San Diego. 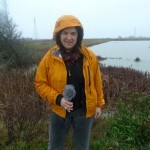 Kym Kemp is a news reporter, photographer, and blogger in Humboldt County. She frequently writes about and photographs marijuana which is a major economic engine in her community. 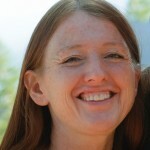 Her blog can be found at http://kymkemp.com/.